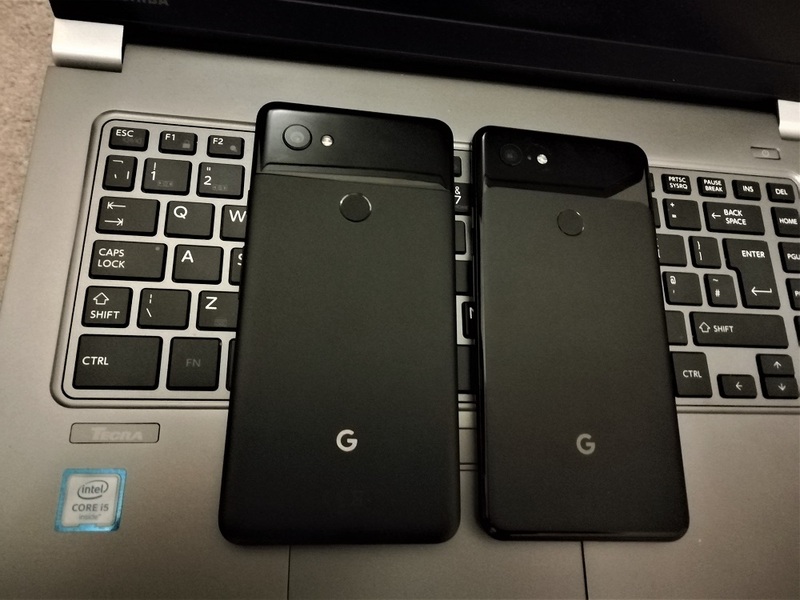 I’ve owned the Google Pixel 3 XL for two weeks now (yes, I went for the annual upgrade, as I have a hunch that I’ll want the new one next year), so what follows is a set of Pixel 3 XL vs Pixel 2 XL opinions/comparison thoughts. I will start posting more things I notice about the new device in the next few weeks. I had the chance of owning the two at the same time for a little bit (while waiting to return the phone I was upgrading from), so I can tell you what they look like side by side. On first look, the design differences are not that big; however, the moment I had them one next to the other, switched on, I noticed the biggest difference of them all – the screen. The Google Pixel 3 XL screen is not only visibly bigger (and no, I don’t find the notch THAT annoying), but the quality of the screen is much, much better. To be completely honest, on a daily basis I didn’t mind the viewing angle issues that the Pixel 2 XL had that much. I was looking at the thing frontally anyway, so it was mostly OK (although there were moments when…). 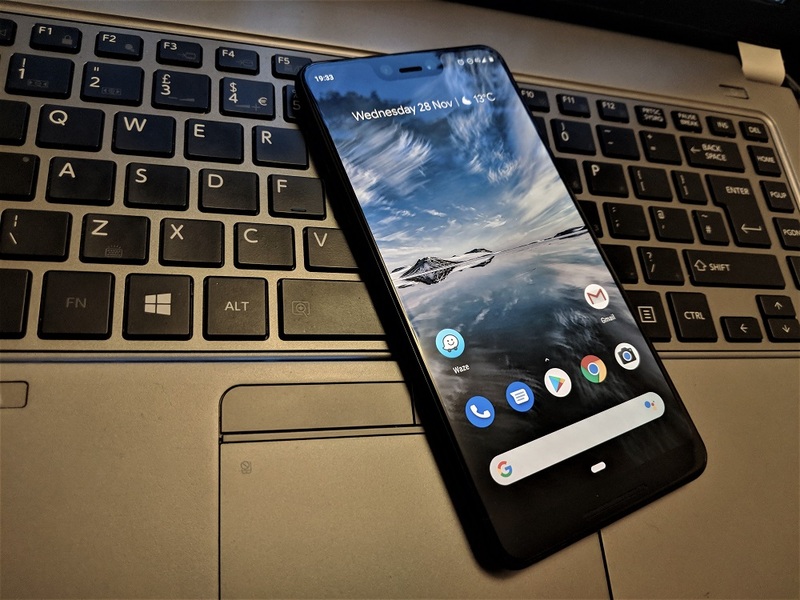 The Pixel 3 XL’s screen is absolutely gorgeous, and I feel that the bigger screen-to-body ratio is really visible and makes a huge difference. Just because of this and I’m happy that I upgraded. The new glass construction feels much nicer in my hand (although I bought a case as quickly as I could; I really don’t want to find out how fragile that brushed glass back is). The Pixel 2 XL isn’t a slow phone by any means. I do have to admit, though, that mine was starting to slightly lag from time to time in its later days. I could have done a master reset on it, but I didn’t care enough to do that; I knew I was going to get the new one anyway. The Pixel 3 XL moves visibly faster than the 2 XL. You can definitely feel that Snapdragon 845 in action. However, opinions are subjective and benchmarks are not – unless you overclock your phone to perform better in them, like some have. 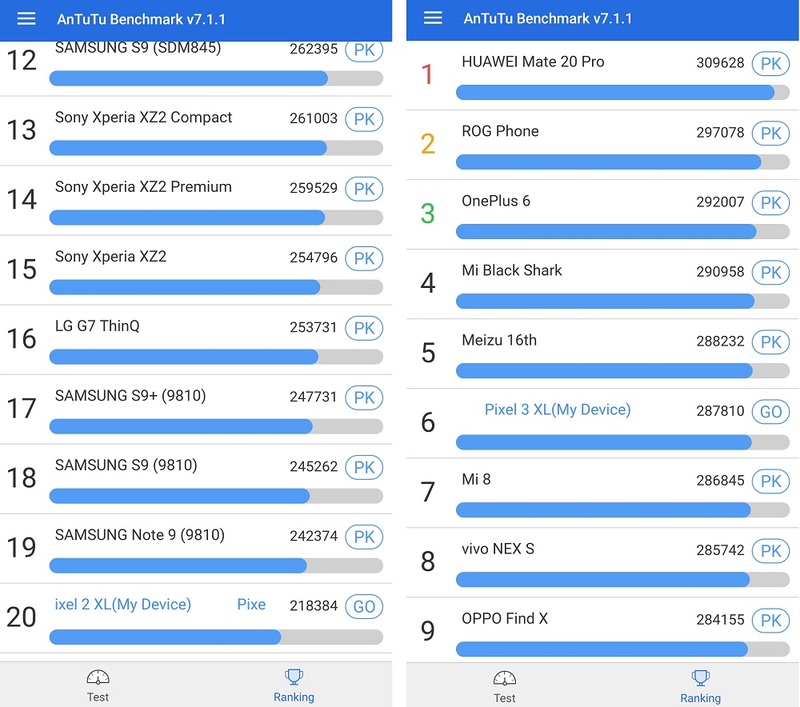 So, after resetting the Pixel 2 XL, I ran an AnTuTu Benchmark on both devices. Results are below and I think they pretty much speak for themselves..
Another thing I’ve noticed is how fast the camera image processing is now. On the Pixel 2 XL you always had that moment of “thinking” after you took a picture. No such thing on the Pixel 3 XL. Everything is instantaneous. The camera itself is, as expected, extremely good. I have tried the Night Sight mode and the phone seems to perform better in low-light conditions than its predecessor. Will it take perfect photos without using the flash in pitch-black darkness conditions? Absolutely not. Will it do better? It certainly looks like it. I will test that further in the coming weeks and months. As I said, the camera on the 2 XL (even the one on the first Pixel) was very good. The camera on the 3 XL is an improvement, but it’s hard to see that much of that when things were very good to begin with. If, unlike me, you are a selfie fan, the fact that you now have the ability to take wider selfies is quite welcome. The feature does work extremely well in practice and so does the Photo Booth one – basically the phone takes a photo when you smile. The latter one works extremely well and should prove fun to use (I’ll admit to also playing with the Stranger Things monster quite a lot in the Playground mode, but don’t tell anyone about that). I promise to have more on the camera, as well as a lot of samples, in future articles. One thing that annoyed me on the Pixel 2 XL was how the Blutooth kept on disconnecting from time to time, for no apparent reason. As a responsible driver that uses a Bluetooth speaker in his car, this was getting on my nerves. The Pixel 3 XL doesn’t seem to have that issue at all and I’m quite happy for that. Everything connects and sounds as it should. This is just a number of small observations. I will have a few more articles in the coming weeks and months, so make sure you follow the Facebook page or check the website from time to time.